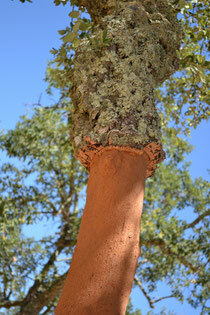 The all natural wine cork is used for premium wines, especially in its better available qualities. It has reknowned characteristics that will comply with a correct aging. This is the conical cork that is used for ceramic vials or even barrels; the size and shape can virtually be any, at the buyer's choice.